As a coach, few things are less satisfying than a disengaged client. Let’s face it, most of us coaches do what we do to make a difference in the lives of our clients. And when WE seem more engaged in our client’s progress than THEY do…. well, that’s a bummer! I’ve previously discussed the importance of creating and maintaining the rhythm of the coaching relationship. And that structure isn’t always enough to keep the client consistently, proactively engaged in their own progress. In fact, most client’s commitments wax and wane throughout the coaching relationship. And what can be most useful for nurturing their forward movement, is naming with the client, their level of engagement in the work and introducing it into the coaching conversation. To enable that conversation, we’ve created the simple, intuitive coaching tool, The State of Engagement Model. 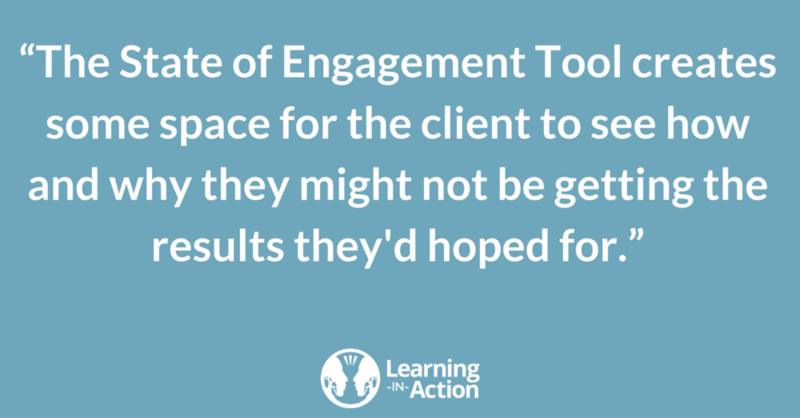 The purpose of the tool is to initiate a dialogue with the client about how their current level of engagement is creating what they want for themselves….or not. The State of Engagement Model is a coaching tool that identifies four possible states of engagement the client may be in: Inactive, Reactive, Active and Proactive. 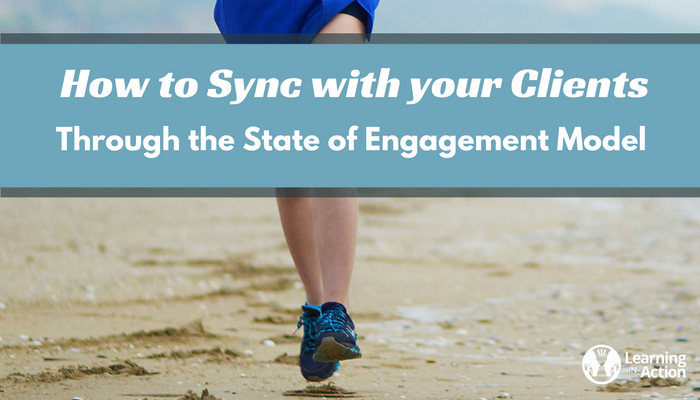 Like a runner before a race, the client’s level of engagement directly impacts their progress. 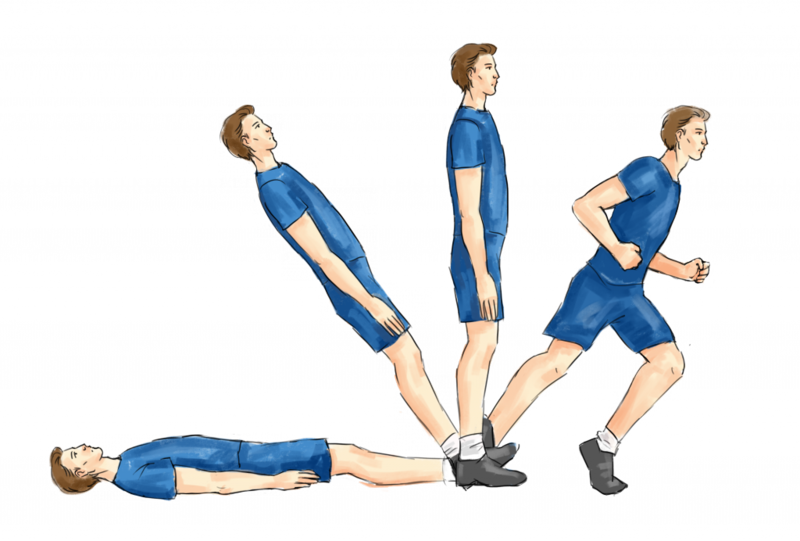 The runner on their toes, ready and set, will move forward faster than the one standing at attention, back on their heels or laying down on the job. The same is true for our clients and bringing their awareness to that might just get them up on their toes again. In the inactive state, the client is “laying down on the job,” not doing anything to move herself forward. For any number of reasons, the client is bringing the same issues, questions and challenges to the coaching and isn’t doing anything to improve her situation. She is treading water, not learning, not moving forward. Example: In session after session, a client complains about a co-worker. She says she wants to improve their relationship, explores possibilities, identifies options and creates a plan of action, only to do nothing afterward. And returns to the next session, inactive and complaining again. This is a stuck position. I call these as “Groundhog Day” sessions: same session, different day. If this happens too often with a client, I tell her I can no longer take her money, because what we are doing isn’t coaching. This usually jolts her enough to increase her level of engagement, at least for a time. In the reactive state, the client is only acting when acted upon. The client shows up to sessions unprepared as if hoping or expecting the coach to set and drive the agenda. Example: The client is considering making a career change and has expressed a great deal of dissatisfaction in his current job. Beyond that, he shows up to coaching sessions without a specific focus. The coaching is hit and miss. He responds to a few of the possibilities presented by the coach and forwards his thinking during the coaching conversation to an extent. And he might follow up on some of the co-created action items. However, he’s not preparing for the sessions to set the agenda and drive the outcome and he’s not tapping into his own resourcefulness and creativity between sessions to direct his efforts and maintain his momentum. This is a passive position. The client is moving forward mainly through the prodding of the coach and the impetus of the coaching sessions. In the active state, the client is ready and engaged in the process, preparing for coaching sessions, following up on action items. However, she either doesn’t really know what she wants, can’t seem to decide or isn’t prepared to face the reality of a difficult choice. (This is surprisingly common.) Many people spend so much of their energy just keeping up with what’s coming at them. They lose sight of the choices they have to create their life. Or they remain in the relative comfort of their current situation versus face the uncertainty, ambiguity, discomfort of a divergent path. Example: The client says she wants to create a plan for retirement at a certain age, living a certain lifestyle. She identifies and begins work with a financial advisor to learn what she can afford to do when. She learns from her advisor that if she remains in her current job, she won’t be able to achieve her retirement goals unless she significantly cuts her spending or works significantly longer. During the coaching session, the client stubbornly sticks to her original retirement plan, is unwilling to change jobs, cut spending or work longer. Her discomfort is kicked down the road to another day. This is a choice-less position. The client is actively engaged in the coaching process and isn’t accepting that she has choices or isn’t making the choices to move to her desired outcomes. Example: The client wants to enhance his performance in his role as CEO. He’s learned about the roles and responsibilities of the CEO and what high-level CEO performance looks like. He’s prepared for each session with what he wants coaching on, is clear about his choices, make decisions and takes actions in line with his goals. This is a creating position. The client is proactively engaged in creating his life. This four-states model provides a rare opportunity to create an awareness for your clients as to their involvement in creating a life of their own design through their engagement in the coaching process. When you introduce the Model to your clients, explain the coaching tool as a way of thinking about one’s state of engagement on any given task, project, relationship, etc. It’s the measure of the extent to which one is engaged in creating a desired outcome. Then explain to the client each of the four states within the context of the coaching relationship and what they might look like as a client. Then ask the client which state they feel they fit into. Most likely the client’s assessment will be similar to your own. In most cases, they are somewhere between the Inactive, Reactive, and Active states on the model. What caused them to identify with that state vs. another state? What’s causing them to be in that state? What’s driving it? What is it like to be in that state? How does it feel? What’s the result of their being in the state? staying in that state? 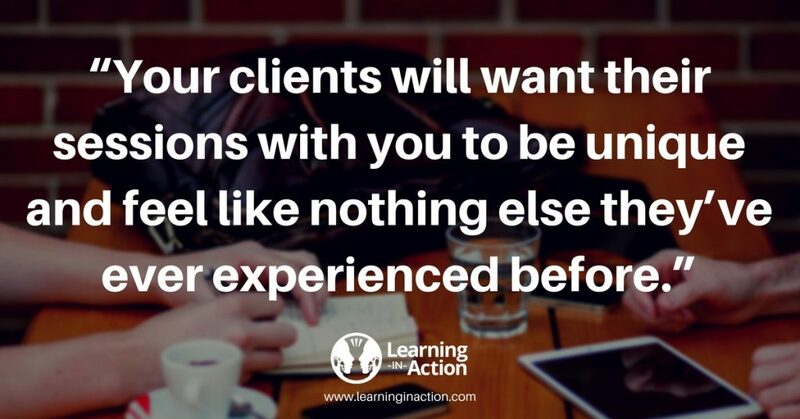 Stepping back from the coaching itself to assess and discuss the client’s engagement in the coaching may actually move the client forward faster than any action step the client could take. On the other hand, some clients may see themselves in the Proactive state and be unconscious or unaccepting about their level of engagement. This is where the very gentle mirroring of the client by the coach can create powerful awarenesses. The coach’s providing more concrete examples of what Proactive engagement would look like for the client may help the client see the discrepancy. As Jon Kabat-Zinn says, “Wherever you go, there you are.” The client may be creating the same sub-optimal results throughout their life if they are unaware or unaccepting of their level of engagement in it (or more likely, their degree of choice in it). What choices do you have to create what you want? What can you control? What state would you like to be in? 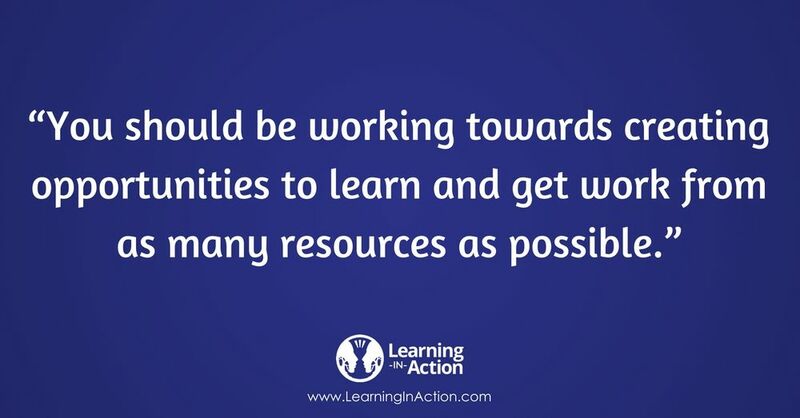 What would moving to a greater level of engagement give you? What would need to change to create a greater level of engagement? By walking through an intuitive coaching tool like the State of Engagement, it can help the coach and client to look at the model together and think about the situation from a common perspective. It creates some space for the client to see how and why they might not be getting the results they’d hoped for. You can use the State of Engagement model to move clients from disengaged and/or unconscious states to Proactive and creating states. Doing so may lead to better results for your client and greater fulfillment for you. All too often I see new coaches struggle to get their business off the ground. And it starts with focusing on the wrong things. Many times, new coaches focus too much on creating the structure around the business and don’t focus enough on finding the business. Sure, the organizational stuff has to get done, and focusing on the wrong things can be an exercise in self-deception. In this post, I detail the five most common mistakes I see new coaches make (and some established coaches too) and how to avoid them to create a thriving coaching business. While these tasks do eventually need to be accomplished, they’re not your first priority. 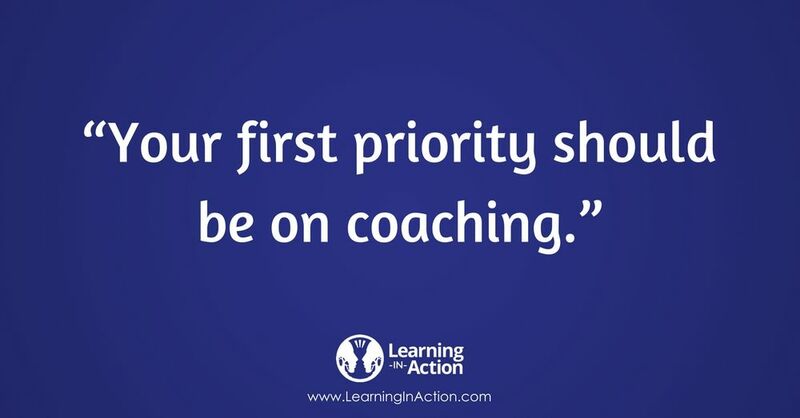 Your first priority is to coach. You don’t have a coaching business if you’re not coaching, and you’re not coaching if you don’t have clients. Too many coaches distract themselves with these so-called “necessary” tasks while putting off the truly essential and potentially intimidating work of getting clients. Initially, I found the process of getting clients to be quite confronting. I felt like I was selling myself (and who would want to buy me?) :(. When I stopped thinking of selling myself and instead gave prospects a sample of the coaching experience, the coaching sold itself. And I stopped feeling quite so scared and quite so unworthy. All you really need to start your business is a solid LinkedIn profile and the courage of your convictions about the value of your coaching. You can tackle the other tasks as your client roster builds. It’s easy to think that as coaches, we can coach anyone. While that is true to some extent, we want to be defining our target much more narrowly. You may think that by narrowing your target, you end up excluding too many people. The truth is that when your target market is clearly defined, people can recognize themselves in it (and their friends and colleagues too). When they see and hear you articulate who you work with, they will feel drawn in because it speaks directly to them. My target market is 35 – 45 year-old male, CEO/Owners of businesses with $5 – $50 million in revenue. They are high achievers who work hard, play hard and are athletically inclined. Articulating this target market alone has gotten me business. Because it encourages the question, “Why? Why male? Why athletically inclined?” and that’s just the opening I’m looking for. Do I work with clients outside of that narrow target market? Sure, I do. I’m not that crazy! And that target market articulated that way gets me business. It’s my foot in the door. Also, by identifying a clear target market, you create the opportunity for people to refer business to you. Realize that defining a target market too broadly will hurt you more than help you. Your coaching business is, after all, a business. So it’s only natural you will want to make money from it. Unfortunately, I see a lot of new coaches charge too much at the expense of getting valuable experience. As a new coach, your top goal is to get as much experience as you can. When you forfeit clients because of fees, you lose the opportunity to enhance your expertise in your craft. The key to charging fees that support you is doing work you are proud of. And that only comes from experience. When I moved to the DC area, I didn’t know a soul and didn’t have a single client. I found my first client on the metro. He was an artist who overheard me telling a friend what I do. He said, “Pardon me, I need some of that.” (I gave him my card and my “artists” rate). My second client was a woman who’d catered an event I was involved with. She said she was leaving catering to head a non-profit. I offered her six free sessions and after, she became my second paying client. My third client, I met because his yoga mat was next to mine. The conversation went something like “You’re a CEO, right? You need a coach, don’t you?” And it turns out, he did. Opportunities to coach are everywhere, and the key is to just get busy uncovering them. If you went or are going through an International Coaching Federation (ICF) accredited coach certification program, you know that the ICF sees coaching as all process and no content. Meaning the coach has the questions (and the structure and the process) and the client has the answers (the content). And that’s what coaching is. And everything else is something other than coaching. That’s fine. They’re the ICF. They can define what coaching is and isn’t. And I’ve found it’s tough to build a coaching business on that definition of coaching. Virtually every coach I know who makes a living coaching either combines what the ICF refers to as “consulting” with their coaching or they’ve made a career out of coaching other coaches. To be clear, these successful coaches aren’t consulting per se. They are simply incorporating their knowledge of a specialized subject matter into their coaching. Specializing in a subject matter is another way to differentiate yourself as a coach and provide unique value to your target market. Your specialty can be anything that’s meaningful and desirable to your target market. And you can develop it as you go. (You don’t have to be an expert to start.) Your specialty will help you both differentiate yourself from other coaches AND make you more valuable to your clients. I have three specialties: 1) understanding the role of the CEO (many new CEOs don’t clearly know what that means), 2) developing functional partnerships (because many of the clients are in partnership with others) and 3) leading with emotional intelligence, because that’s important for pretty much everyone, particularly CEOs. All of these specialties build upon each other, differentiate me as a coach and make working with me much more valuable for my clients, allowing me to charge more. My experience is that many people in professional services (including coaches) are surprisingly territorial. If a coach, consultant or other professional has a client, they tend to be very protective of that relationship and not refer in other professionals. The cost to us coaches of being territorial (beyond the lost chance at karma credits) is that we miss the opportunity to develop a close working relationship with a professional in a contiguous space. A good percentage of my clients have come as the result of referral relationships with colleagues in contiguous spaces – finance, training, leadership development, organizational development, other coaching specialties. I’ve found that clients who purchase one of these services are likely to purchase many of these types of services. One of my clients recently told me that he has seven coaches. Yeah. That’s right. Seven. And one of them I referred to him. What’s the moral to this? “Do be a Do Bee and don’t be a Don’t Bee.” Huh? Pardon my Romper Room allusion. Do have an abundance mindset and share the wealth. Identify other types of services that your target market might consume (e.g. personal training, financial planning, nutrition, estate planning, organizational development) and seek out like-minded colleagues in those spaces. Get to know them, what they do, the value they add and how to advocate for them. Then, look for opportunities to refer them. Hopefully, over time, they’ll respond in kind. The good news about so many helping professionals being territorial is that it makes it so easy to spot the few with an abundance mindset. You have the power to create your own community of advocates. Not only will doing so help you grow your business, you may find that it eases some of the loneliness that can arise when you’re a “single-shingle” solopreneur. It can be lonely at the top. Especially when the top and the bottom are the same place. Have you encountered any of these challenges in your own business? Feel free to let me know by leaving a comment below. When you meet your client for the first time, you may be tempted to jump right in to the coaching relationship and get to work. (I know I am.) And every time I’ve done that, I’ve deeply regretted it. Ugh. Seems like some things I have to learn more than once. Years ago, I had a client who, when I would email to confirm our coaching session the next day, would routinely inform me that she was traveling and unavailable and would ask to reschedule. Incredulous, I would think “Seriously?! You didn’t know before now that you were going to be traveling during our regularly scheduled coaching session?” And because I didn’t communicate clear expectations and consequences about such things in my coaching agreement, I could only blame myself. Unfortunately, it became an unnecessary point of stress in our relationship. I could have avoided that stress by establishing a clear coaching agreement that laid out what I would expect from the client, what the client could expect from me, and what she could expect from the coaching process. Specifically, I would have spelled out the following 5 things that would have enhanced our relationship immeasurably. She still might have traveled during our scheduled sessions, and if she did, the ramifications of that would be clear to both of us. Stating in the coaching agreement what you expect from your client does a few important things. Firstly, it differentiates your relationship with them from their relationship with anyone else. For your client, it’s very rare for anyone to state so clearly what’s expected of them. Especially when they (or their company) are paying for it. Secondly, by establishing your expectations of the client, you communicate that the coaching relationship will be “eye level”, a relationship of equals. Thirdly, it establishes guard rails for the coaching, thereby beginning to create the coaching space. I will be on time for our sessions. I will be present with the coach and free from distraction for our sessions. I will make sure my coach knows everything he/she needs to know so he/she can coach me. I will maintain high expectations for both myself and my coach. I give my coach permission to be direct and bold with me. I will take my own notes and be responsible for my own learning and take-aways. I will provide my coach with feedback on what’s working and what’s not. I will inform my coach of scheduling conflicts more than 48 hours in advance of our session or I’ll forfeit my coaching time (and pay the associated fee for coaching). 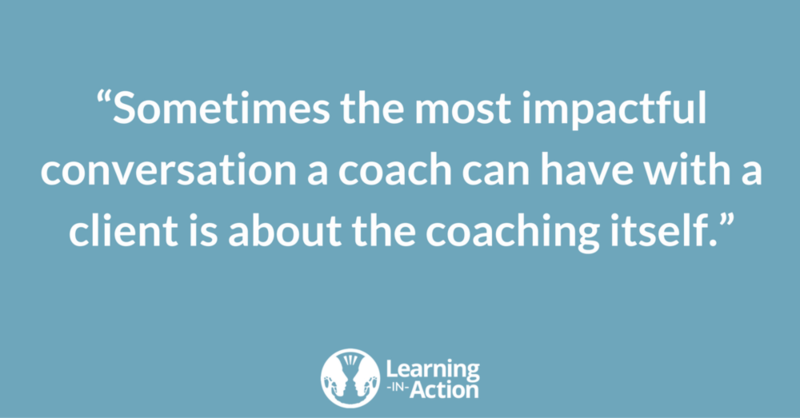 The coaching agreement is a form of coaching in itself. Holding the client to a high standard has the effect of both expecting the best of them and reinforcing the client as being creative, resourceful and whole. Also, it reinforces the quality of the coach/client relationship as clear, bold and direct. Establishing in your coaching agreement what your clients can expect from you as their coach directly reflects your competence as a coach in your client’s eyes. Holding yourself to a high standard and spelling that out in the agreement is a way for you, as a coach to walk your talk. Clients can be inspired to improve their performance when you, as their coach have your own standards for excellence. Also, when your clients see the high standards you have for yourself, they’ll understand that you’ll be holding them to a high standard as well. I will be present with you and free from distraction for our sessions. I will be kind, honest and direct. I will be prepared for each coaching session. I will validate, focus on and believe in your strengths and the best in you. I will accept you fully and meet you where you are. I will support you in considering new perspectives. I will co-create new possibilities with you. I will support your learning and forward your progress. If you know something is particularly important to your client, like following up on action items from past sessions, you can make sure to explicitly include that in what they can expect from you. It will help them to relax into the relationship. Even though clients agree to coaching, it doesn’t mean they know what coaching is. Many of my clients weren’t actually looking for a coach when they engaged me. Typically, one of my clients had told them how much our work has helped them and that they should talk to me. Essentially, they are pursuing a hope that their life, their work, their performance can be better. And they really have no idea how coaching works. It’s up to me to tell them. The most common misconception my clients have had is that I, as their coach, will give them the answers to their questions or tell them what they should do. 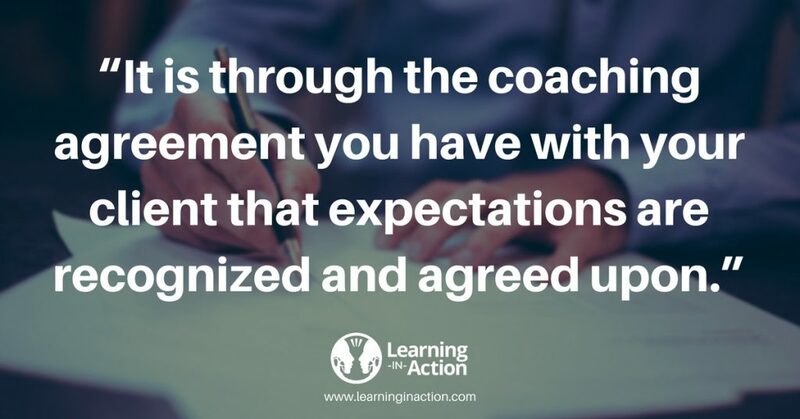 The coaching agreement plays an important role in educating the client about what coaching is and what they can expect from the coaching process. Coaching is the process the coach uses to facilitate the movement of the client from their current state to their desired state in their personal and/or professional life. As your coach, I will use questions, observations, conceptual frameworks, assessments and direct communication to support you in deepening your learning and forward your progress toward your goals. Coaching is designed to facilitate the achievement of my personal and/or professional goals. Coaching is not therapy, nor is the coach qualified to give legal, medical, spiritual or financial advice. All decisions in these areas are exclusively mine and I acknowledge that my decisions and my actions regarding them are my sole responsibility. All of these statements together help differentiate coaching from other professional services and supports the client in understanding their responsibility in the relationship. Having an ideal frequency of coaching sessions is critical to establishing the rhythm and impetus of the coaching. The location (in person, by video or by phone) and length (30 mins, 60 mins 2 hours) of the sessions are less important than their frequency for getting traction. The sessions should be spaced ideally so that clients have time to take designed actions and so that not so much time passes that they lose momentum. So how often should you have a session with your client? With new clients, I’ve found that two sessions per month, spaced two weeks apart are ideal. Weekly meetings can work well for very focused, very motivated clients with clear, specific goals. Having sessions much more than 2 weeks apart makes it difficult for the coach/client relationship to develop sufficiently to facilitate forward progress. And with so much time passing, clients can tend to lose focus between sessions. With long term clients (people I’ve worked with for 6 months or more), less frequent sessions can work quite well. The depth and quality of our relationship makes this possible. Typically, these relationships are ones in which I play more of the role of thought partner and the goals for the coaching are much more holistic and less specific. Whatever the frequency of your coaching sessions, you’ll want to document frequency of sessions in your coaching agreement. You and your client should be clear on the desired outcomes for the coaching. Some clients will respond well to creating S.M.A.R.T. goals for the coaching – goals that are specific, measurable, achievable, relevant, and time bound. Having those kinds of goals for clients who are driven by such metrics can be quite useful for measuring progresss. Other clients will bridle at the idea of such confining definitions of progress and S.M.A.R.T. goals can feel more like a work obligation than personal and professional growth. For those clients, creating desired outcomes for the coaching may work better. You can use each of these to create a scope of work that focuses on who the person is, what the person does, what they want to learn, and the results they wish to create. You can include the identified desired outcomes in the coaching agreement (a good idea if someone other than the client is directly paying for the coaching) or you can create it as a separate document once the coaching agreement has been signed by both parties. Having a coaching agreement that includes each of the 5 things listed above will get the coaching relationship off to a great start. I love the Earl Nightingale quote “Our environment, the world in which we live and work, is a mirror of our attitudes and expectations.” So agreeing upon clear, high expectations for coach and client and the coaching progress all serve to set the stage for a successful coaching relationship.